Serengeti Systems: What Is AutoSync? The technology referred to as AutoSync is an invention by the original makers of the Hayes SmartModem. Its successor, AutoSync 2, still often simply referred to as AutoSync, is alive and well in the latest Hayes Optima modems manufactured by Zoom Telephonics. Optima modems are sold directly by Serengeti Systems for use with the AutoSync versions of 3270Link, 3770Link, 3780Link, and BSCLIB. Myth: AutoSync modems are no longer being made and sold because Hayes Microcomputer Products went out of business. Fact: Hayes did go out of business back in January 1999. 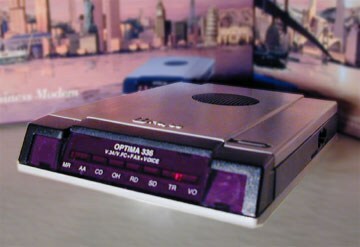 However, the Hayes name and product line, including the Optima modem (and AutoSync), was obtained by Zoom Telephonics and reappeared on the market in the summer of 1999. Myth: Modems not made by Hayes (Zoom Telephonics) have support for AutoSync. Fact: While this might have been true many years ago, it is not today. Only the Optima 336 and 56K Business modems support the latest version of AutoSync, AutoSync 2, and are supported by Serengeti emulation products. In years past, Hayes licensed AutoSync technology to third party modem manufactuers and it was incorporated into various non-Hayes modem products. However, this was the original version of AutoSync, not AutoSync 2, and even if these products still exist they would not be supported by Serengeti emulation products. Myth: When using an AutoSync modem with a Serengeti product, there has to be an AutoSync modem on the host side of the connection as well. Fact: AutoSync is strictly a local, internal function of the Optima modem based on commands received from AutoSync enabled products such as those from Serengeti. The only requirement at the host side is a 9600 bps or faster V.32/V.34/V.90 compatible modem. The modem at the host side cannot distinguish between an AutoSync modem or a "normal" V.32/V.34/V.90 synchronous modem. Myth: All synchronous modems are AutoSync modems. Fact: No. There is some confusion in the marketplace that the terms "synchronous modem" and "AutoSync modem" are interchangeable. This is false. All AutoSync modems support synchronous operation (as well as asynchronous operation), but not all synchronous modems are AutoSync capable. AutoSync questions? Call or e-mail us. Hayes modems are manufactured by Zoom Telephonics Inc.